Are Pure Electric Cars Meant For The Mass Market Or A Niche? Home/EV News/Are Pure Electric Cars Meant For The Mass Market Or A Niche? When we compare the Nissan Leaf and Chevrolet Volt, it is clear that Volt has left Leaf much behind in car sales. The latest report of Edmunds clearly shows that during the period from, January 1 to April 1, 2011, the total cars sold by volts were 1536 as compared to leaf which were only 471 in the same period. 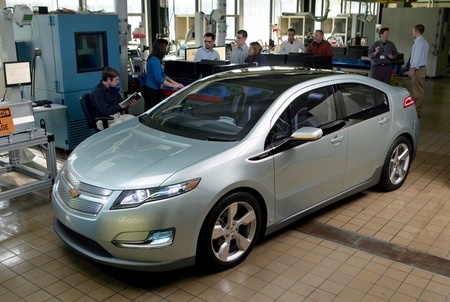 In March Chevrolet announced to deliver 10,000 Volts by the year end, this is evident that the sales of leaf has not been quite encouraging. The president of Nissan-Renault Carlos Ghosn, does not seem to be worried, he had already announced in May 2010 that leaf is already sold out; this announcement was made six months prior to the release of the car. This announcement was quite surprising for the market; probably his announcement was based on the number of orders received by Nissan. Back in May 2010 it was reported that Nissan has received 13,000 orders. People who were interested to get the car, when released were able to book their cars online on Nissan website by making a payment of $99. The initial sales figures did not match with earlier orders, the big question is that are people still interested to have this car or they have decided to give up their deposits. Many people in the auto industry are of the opinion that electric car cannot be successful until some good infrastructure is developed for after sale and service. The electric car requires regular charging so that the car can run without any problems. Some companies like General Eclectic have offered to set up charging stations which can be developed at homes, which can charge car faster than any other electric appliance used at home. But such a facility is only a recent development. Major cities are thinking of placing these charging stations at parking lots and parking structure, but it has been seen that other locations like big malls, where people frequently visit, the facility is still very less. It also requires upgrading of electric grids so as to cater to the millions of electric cars; people expect it to be on roads for easy accessibility. But then there are other problems like “Range Anxiety”. For best results the electric car has be fully charged and people are holding back due to the fear that car will run out of power before they reach their destination. This range anxiety is quite obvious with Leaf, but Volt is one step ahead as it has got gasoline engine back up in case the battery gets drained. The engine works as generator so that the journey is goes uninterrupted. All electric cars are same without any gasoline engine backup. Another reason could be the price structure. Volts costs around $ 40,000 which is a huge cost for the buyer, but the federal government gives a tax rebate of $7,000 to buyers of electric car. There are many other electric car manufacturers apart from Leaf and Volts, people are also waiting for a car being released soon by Tesla by the name model S. If you can afford an electric car which eliminates the “Range Anxiety”, because it can be guaranteed to run 160, 230 and 330 mile range, then it is worthwhile to go for a pure electric vehicle. The technology is being upgraded regularly, who knows, tomorrow another good car will be on the roads at the most affordable price.